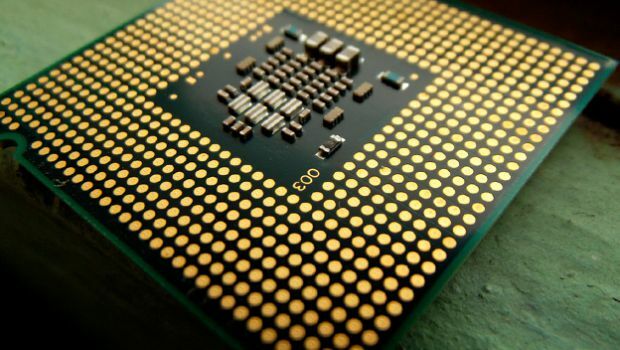 Whether you decide to upgrade your computer’s processor, or if you want to choose all of the components and build a PC yourself, not only will you save some euros, but you will also have more knowledge about what you purchase and about the components of your PC, or at least, everything you need know when choosing a processor. To upgrade a computer, it isn’t always necessary to replace it. Sometimes, replacing the chip for another more powerful one is enough, although it will always be your motherboard that determines the type and model of processor it supports. 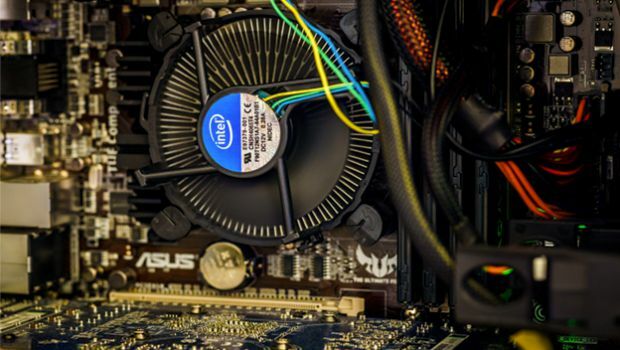 Instead, if you choose to select the components and build your own PC, you will have to keep in mind some factors to determine which is the ideal processor for your setup. 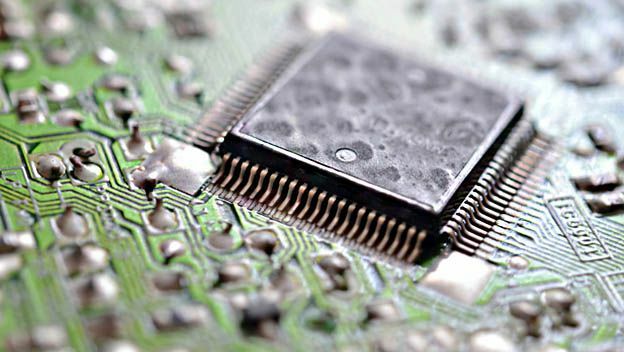 But first, it’s good to keep in mind what the computer will be used for in order to determine the amount of processing power you will need and to not spend too much money on a chip which won’t be fully taken advantage of. Intel or AMD. The eternal battle between the two main manufacturers of processors for desktop computers that aroused many arguments throughout the Internet. Beyond fanatical positions and staunch defenders of one brand or another, we must consider the defects and virtues of the current generation of chips of each brand and choose the appropriate one for your needs. Being objective, Intel processors offer superior performance in games, workstations, design or PCs that need processing power. In return, these chips are more expensive than those offered by AMD. Depending on the use that will be given to the PC, it will be better to choose one processor or the other to fit your needs. Instead, AMD’s FM2 platform, with its A6, A8 or A10 processors, offers the ideal solution for multimedia and office computers, or workstations with low or medium graphic requirements, thanks to its reasonable price and good performance of its integrated graphics chip that matches the performance of a midrange graphics card. Core count or clock speed? When choosing your PC’s chip you will need to keep in mind the number of cores the processor has since you will find some with 2,4,6 or 8 cores. Each core is capable of processing data independently. In other words, it’s as if there were 2, 5, 6 or 8 smaller independent processors inside of the chip. Likewise, each one of those cores will be capable of processing one or two simultaneous execution cycles called threads. This virtually doubles the processor’s work capacity which means that, for example, a processor with 2 cores with 2 threads each, will offer a level of performance close to that of processor with four cores with only one thread per core. 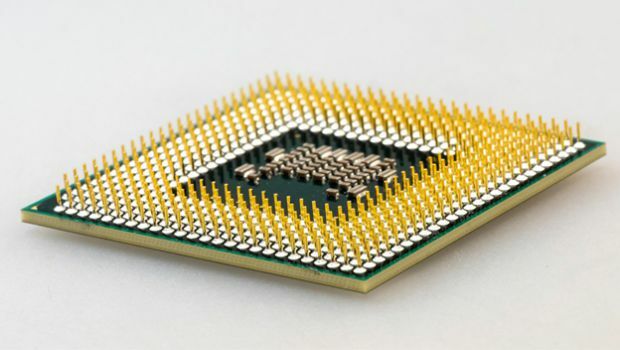 This is a very important factor when choosing the ideal processor for your PC since you can find chips that only offer one thread per core (for example, a processor with 2 cores with 2 threads or with 4 cores with 4 threads) or processors that offer two threads per core (2 cores with 4 threads or 4 cores with 8 threads), these last ones having superior performance. The technology that allows using more than one thread per core is called HyperThreading and Intel has been using it on their products for more than a decade. Another thing to keep in mind is the clock rate of the processor expressed in Megahertz (Mhz). All other factors the same, the higher the clock rate (more megahertz), the better its performance. In processors’ specifications you will find that some chips offer a “Turbo” mode which increases the clock rate of the processor immediately when it suffers an elevated workload. But this “Turbo frequency” is only reached on rare occasions, so, although on certain occasions this extra power can be good, it’s not as important as the stable clock rate at which the processor will work most of the time. Currently all processors are multicore, but not all are multithread. Check the tech specs of the manufacturer. The processor’s cache memory is a parameter that usually goes unnoticed when comparing different chips. 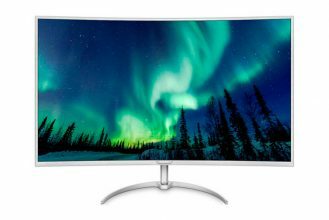 However, they can make a big difference in the daily performance of the computer. This memory is of the SRAM (Static Read Aleatory Memory) type and is integrated in the processor itself and very close to the cores. The cache is, using a simple analogy, the waiting room for the data that has to be processed. If this waiting room is small, there is a risk that the chip will finish its work too quickly and have to wait for new data to arrive, instead of having them prepared for processing immediately. Therefore, the larger the cache memory, the more data will always be available to optimize the operation of the chip. This cache is presented on several levels as different waiting rooms, increasingly away from the respective cores. The further away from the core, the slower its access, but the greater its size. In the technical specifications of the processors you will find the values of the cache expressed as L1 (level 1), L2, L3 and even L4 in last generation processors, the cache memory level 1 (L1) having a few kilobytes, while the level 3 can have several megabytes and even hundreds of megabytes in the case of level 4 cache. Not all processors have the same electrical consumption. The more powerful a processor is, the greater the demand for energy it will have. This electrical consumption is not only important because of the economic cost of having a processor consuming a certain amount of watts during a whole day. It also affects the amount of heat generated by that processor, since usually a greater consumption implies an increase of the temperature of the chip and, therefore, it will also affect the loudness of the PC as more active cooling will be needed to keep it refrigerated. Manufacturers indicate the maximum power generated by the processor under the TDP (Thermal Design Power) parameter, and desktop processors can range from 20 W or less for the less powerful processors, up to 140 W for the most powerful processors. TDP also influences the cooling system, which has to be adequate to dissipate the temperature generated by the chip or, otherwise, the processor runs the risk of dying under its own heat. If you plan to overclock the processor (increase the working frequency of the processor to increase its performance), or you think that someday you might need it, you must choose the right processor model as not all processors allow it. For example, in Intel chips this feature is locked on most models except those with the letter K in their name. You can find the Core i7 4790, which does not support modification of its working frequency, and the Core i7 4790K model that let’s you modify this parameter for more performance. The models with these unlocked functions tend to be somewhat more expensive, so if you do not intend to overclock it is not worth paying more for them. 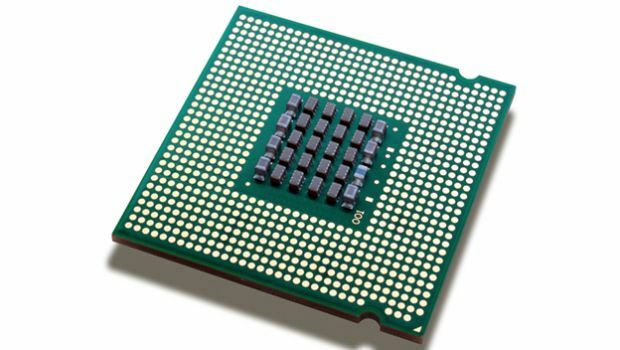 In general terms, taking into account these indications and comparing the values that the manufacturers offer in the technical specifications of the different processors, you can determine which is the ideal processor for your computer. The following guide will be updated periodically and we will bring it back with pertinent news. As we anticipated at this point, we are going to make a resume of all the different performance-ranges that we can currently find and we will explain the performance which one offers, differentiating the biggest manufacturers that are available nowadays. Celeron: they are economics processors with two cores and two threads that offers a good performance in general office automation, multimedia, and web browsing. Also, they perform well on videogames which not requires multicores. Pentium: This is the next step up from previous models offering higher clock frequencies although in general it is almost identical, since it still has two cores and two threads, at least until the arrival of the new generation based on Kaby Lake. Core i3: This has two cores and four threads, which together with its high IPC makes it an excellent solution for those who want to set up inexpensive equipment with high performance and efficiency. It is suitable for gaming and working. Core i5: This is one of the ranges with the best price-performance ratio offered by Intel and a very good choice suitable for any kind of use. It has four cores and four threads, and is an excellent choice for users with a moderate budget. Core i7: This has two editions, the basic edition and the extreme edition. The basic edition has processors with four cores and eight threads which offer a performance almost identical to the Core i5 in most cases, whilst the extreme edition has models with six to ten cores. This edition is only recommended for use by professionals who operate in multithreaded environments. Sempron: Sempron processors are affordable and offer a basic performance, but still sufficient for office automation and other simple tasks. Despite being quad-core processors (four cores), these have a very low IPC and a very reduced work frequency. Athlon: Athlon has versions that can either be dual-cores or quad-cores. 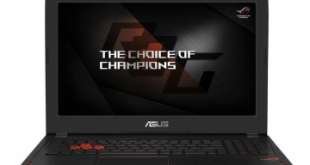 It offers a good performance for nearly any basic task and its quad-cores offer a good performance even while playing games, despite its inability to reach the same level as a Core i3. APUs: APUs integrate both the processor and GPU inside the same package. The configurations vary widely since one can find versions which include dual-core or quad-core processors and graphic cores with powerful performances. A good option to assemble playing equipment with very limited budgets. FX 4300: FX 4300 have four cores and a very high work frequency, which allows it to offer a good performance doing any task. It is a good and cheap option to update an AM3+ platform, especially if one wants to run games. FX 6300: FX 6300 are one step ahead of its precedent, since it offers six cores and a very high work frequency. It has a good performance while running games, but it does its best in multithreading environments. FX 8300: FX 8300 is ADM’s current mid-range, along with FX 9000, although FX 9000 is not recommendable because of its soaring TDP. FX 8300 has eight cores and offers a work frequency that surpasses 4 GHz, which keeps it as a solution capable of facing any task. RYZEN: RYZEN is the current AMD top-end. It uses a new architecture, is fabricated through 14 nm processes and currently uses eight cores versions with 16 threads. It offers an excellent performance level and has a very attractive price. 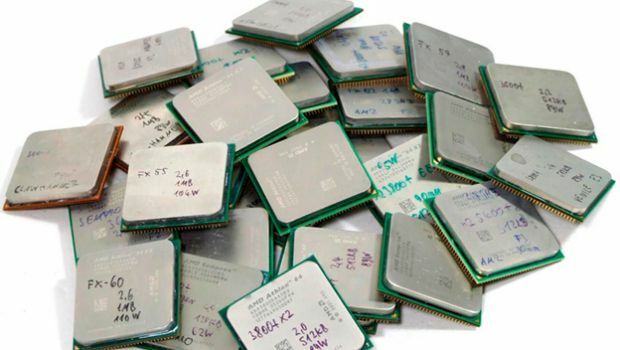 What is promised is due, we leave you a selection of the best processors one can currently acquire within the chip giant’s catalog, always considering a price-quality perspective. Basic range: Celeron G1840 for 50 dollars. Two cores at 2.8 GHz. Economical range: Pentium G4560 at 3.5 GHz for 65 dollars. Two cores and four threads at 3.5 GHz. Intel HD 610 graphics Integrated. Four cores at 3.5 GHz-3.9 GHz , normal and turbo mode. Intel HD 530 graphics integrated . High-end range: Core i7 6700K for 310 dollars. Four cores and eight threads at 4 GHz-4.2 GHz, normal and turbo mode. Intel HD 530 Graphical integrated. Extreme range: Core i7 6800K for 404 dollars. Six cores and twelve threads at 3.4 GHz-3.6 GHz, normal and turbo mode. Just like we did on the previous point, we leave you with a selection based on the price-quality binomial to select the best processors from the Sunnyvale’s giant. RYZEN is already available and, as promised, we updated our selection to accommodate this new AMD generation. With this new range, AMD provided the market with some of the best top-end processors we can currently find according to the price-performance value. 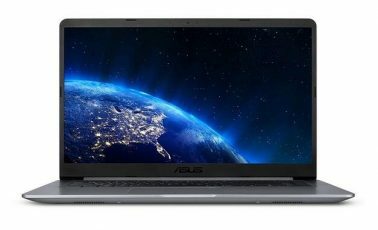 Basic range: APU A4-6300 for 29 dollars. Two-core at 3.7 GHz-3.9 GHz, normal and turbo mode. Economic range: FX 4300 for 70 dollars. Four-core at 3.8 GHz-4 GHz CPU, normal and turbo mode. Mid-range: FX 8300 for 100 dollars. Eight-core at 3.3 GHz-4.2 GHz CPU, normal and turbo mode. Mid-range: FX 8350 for 140 dollars. Eight-core at 4 GHz-4.2 GHz CPU, normal and turbo mode. 8-core and 16-core at 3 GHz-3.7 GHz, normal and turbo mode. Supports overclocking with X370 and B350 chipsets. 8-core and 16-core at 3.6 GHz-4.0 GHz, normal and turbo mode.